An autistic accountant cooks the books for a variety of illegal organisations. The Accountant may be a rare mainstream Hollywood release not based on any pre-existing properties, but it might as well be an adaptation of a comic book, as it borrows heavily from the superhero movie template. The title of Gavin O'Connor's new thriller likely conjures up visions of Steven Seagal playing a mild mannered number cruncher forced to save the day in some Die Hard knockoff - "I'm just the accountant!" But this ain't 1991; we're living in an age when every movie, no matter how laughable its concept, has to take itself ever so seriously, and so The Accountant is largely a dull slog. Insert your own puns about a 'by the numbers' thriller that 'doesn't add up to much' here. 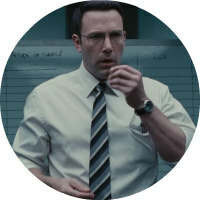 If you thought Ben Affleck was stoic as Batman, wait till you see him as Christian Wolff, an autistic accountant who, through a series of over the top and confusing contrivances, has carved out a lucrative living cooking the books for a variety of shady organisations, from the Italian mob to Middle Eastern terrorists. Whenever he runs into trouble with his dangerous clients, he calls on a variety of skills, including the martial arts he learned from a token wise Asian as a kid in Indonesia, and expert sniping, a holdover from his time in the military. 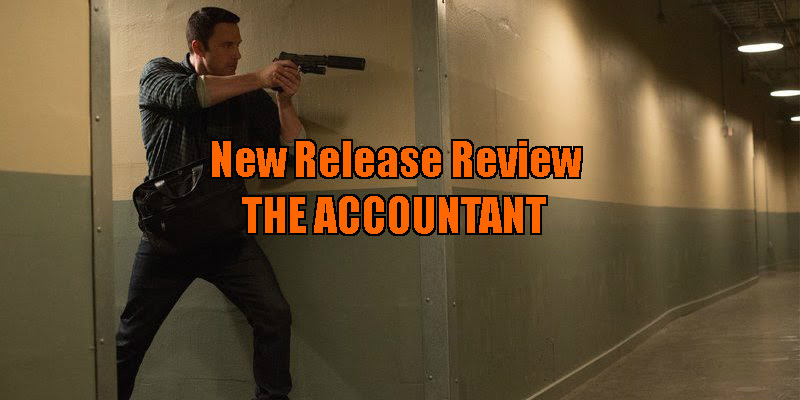 The Accountant may be a rare mainstream Hollywood release not based on any pre-existing properties, but it might as well be an adaptation of a comic book, as it borrows heavily from the superhero movie template. Roughly a third of the movie is devoted to flashbacks filling us in on its titular protagonist's needless origin story. Like Superman, Wolff has his 'Krypton' Dad, his gruff military father, and his adoptive Kents, an elderly couple that allow him to train on their farm. With a large dollop of poor taste, his superpower, an incredible head for numbers, stems from his autism. Beyond some admittedly well performed deadpan humour stemming from his social awkwardness, there's little to justify making Affleck's character autistic. It's essentially a gimmick, and while I'm certainly no expert on the condition, I'm pretty sure the movie shills some debunked and discredited pseudo-science around the treatment of autism. The film's many flashbacks serve mostly to distract from the thrust of the main narrative, which revolves around Wolff protecting a young accountant (Anna Kendrick) who has become the target of his latest corrupt client (John Lithgow). The interactions between the flirty Kendrick and the oblivious Affleck are the film's highlight, but sadly the former disappears from the final act, as the film switches attention to a far less interesting sub-plot involving Jon Bernthal as a heavy hired to protect Lithgow. Yet another strand of the plot involves JK Simmons as an FBI agent who blackmails a bureau analyst (Cynthia Addai-Robinson) into helping him in the hunt for Wolff. Both are built up initially as important characters, only to vanish for most of the film, reappearing now and then to deliver some convenient backstory and exposition, a lot of which has no real relevance to the overall plot. Much of The Accountant could have been left on the cutting room floor, particularly if the autism angle had been removed. As it stands, O'Connor's film plays like a 10-part HBO show that's been chopped down to just over two hours. I for one would gladly watch a 45 minute episode devoted to the prison relationship between Wolff and Jeffrey Tambor, the convict accountant who takes him under his wing, but the 10 minutes we see in flashback here are barely justified. 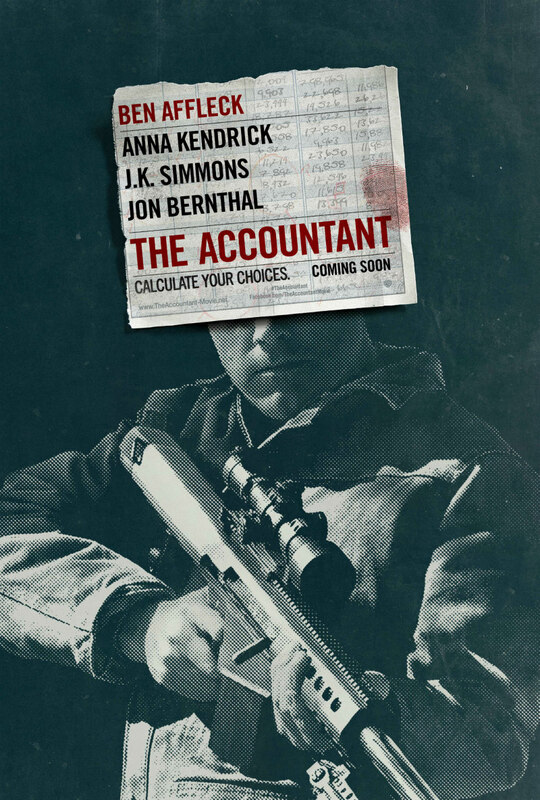 We hear a lot of talk of TV aping cinema today, but The Accountant feels like a movie that wishes it were a TV show, and maybe it should be. The Accountant is in cinemas November 4th.